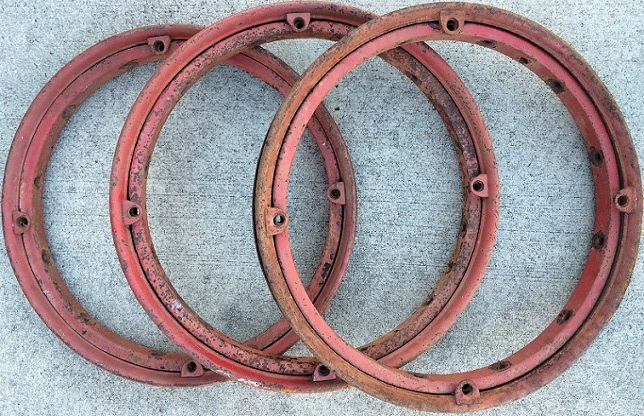 They look to me like 30x3-1/2" demountable rims and felloes for 1919 and up Fords. But if they're for something other than Fords, I can't help you. I suspect Mike is right. The position of the valve stem hole suggests Ford. It's hard to be sure without close-ups, but these look like Hayes felloes and rims for a T. Look closely at the lugs. Are there any markings stamped on them? Are you sure the rims are 3" x 24", and not 213/16" x 241/4"? My car came with a set of four Hayes felloe wheels and four Hayes rims. It also came with two of the Ford rims, like in your picture. The Ford rims fit my Hayes felloes perfectly, so I had them blasted and powder coated, then mounted tubes, flaps, and tires on them to act as my spares. One more item of interest - I built up a set of new wheels (that I haven't mounted on the car yet) with Kelsey felloes, and the Ford rims fit perfectly on them as well. My Hayes rims do not fit correctly onto the Kelsey felloes (the lugs line up, but there is a big gap between the rim and the felloe). How Ford made their rim so that it could fit both Hayes and Kelsey felloes is a mystery to me, but the Ford rim fits both with no gaps. Mark, in Australia most of our wheels are Kelsey loose lug wheels. The lug type shown we had in 1925 only. What stops the Hayes rims fitting our Kelsey felloes is the foot on the Hayes lug which goes in over the outer edge of the felloe. The Hayes felloe is relieved to accept this foot. 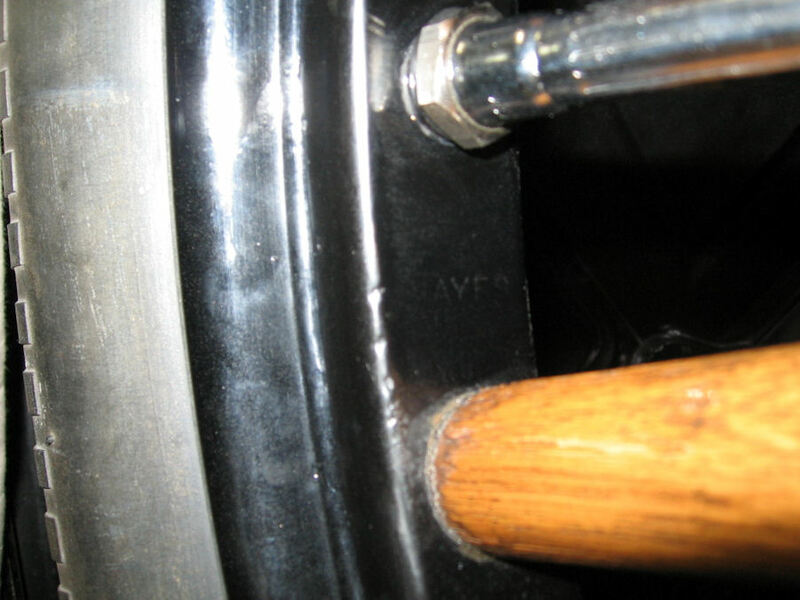 Consequently, the Kelsey rim lug without the foot will go on a Hayes felloe but the Hayes rim will not go on a Kelsey felloe. May this be of interest.